In our discussion last weekend, my student and I were laughing as he showed me the ULTIMATE MCAT FC deck some bozo on SDN created. We laughed at the composition of the cards, but also how there were literally ~5900 FCs. Who wants to go through 6,000 flashcards? What happens when you make thousands of flashcards is that you overwhelm yourself unintentionally. It can even be demoralizing when you are staring at thousands of flashcards for MCAT prep – and then it leads to anxiety, procrastination, and all of the other mental obstacles that keep students from their peak potential on the MCAT. Flashcards can be a very effective learning tool with the right strategy, but the reality is that the vast majority of people simply don’t know how to use them effectively. Most use flashcards willy nilly, creating huge quantities of them without a clearly defined role, a high yield focus, and time when they’ll be used. As a result, flashcards often become a burden rather than a study aid. Your flashcards need to be personally meaningful to you, and you should strive to have as few of them as possible. This forces you to conceptualize the material and prevents you from creating a monster flashcard deck that is stressful and doesn’t allow you to do lots of repetition. You should ALWAYS make your own flashcards (no exceptions). 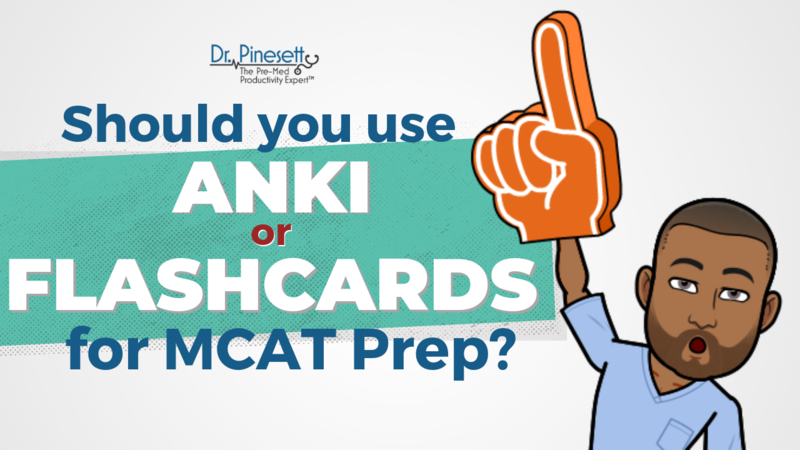 For the MCAT, you should be very selective in making flashcards (and notes for that matter) because you may not have time to review it all. Our goal is to learn, not to make notes or flashcards. What do you think about Anki and flashcarding in general? I’ve really been working hard on my exciting BRAND NEW MCAT course, and 100% FREE MCAT Webinar, both of which are coming out January 19th. They are guaranteed to be PURE FIRE like all of my content - this your chance to finally get the truth about the best way to prepare for the MCAT and get some clarity, which I know is challenging with all of the bad info out there. 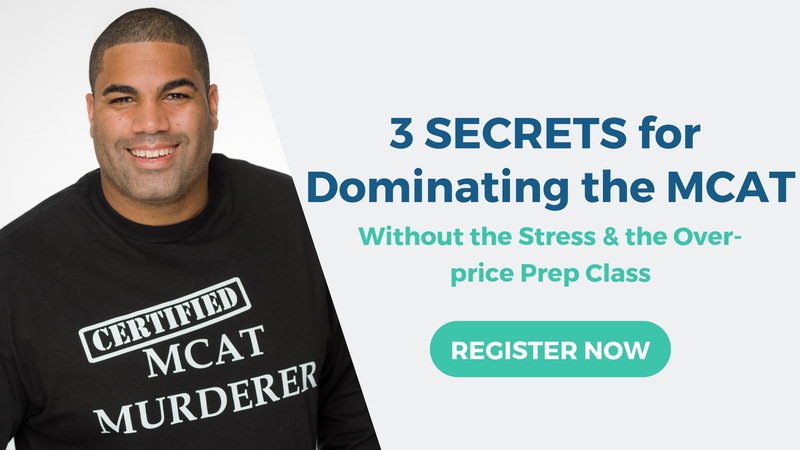 If you haven’t already subscribed to my email list, be sure to get on there to get notifications on when we are going live with this powerful free webinar that is going to change your approach to the MCAT for the better right now. Whether you choose to buy my course or not you’re going to get several absolutely free helpful insights on how to dominate the MCAT that you won’t find ANYWHERE else. 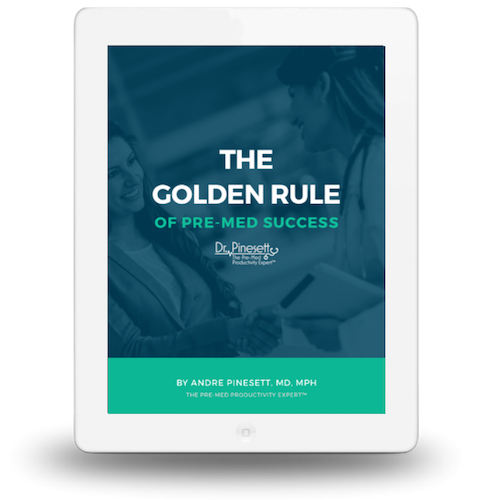 You can subscribe at the bottom https://www.premedproductivity.com/ and as a token of my gratitude for your subscription, you will get my popular free eBook “The Golden Rule of Premed Success” where you’re going to learn the powerful secrets and mindset strategies I used to go from the bottom of the premed pack to Stanford Med School and beyond as an elite achiever.